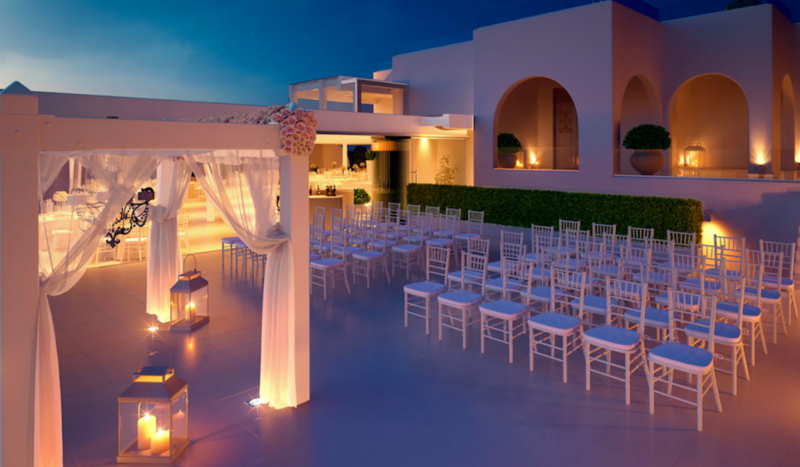 Weddings in Santorini, Mykonos, Greece. Organizing luxurious weddings is our specialty. From wedding packages to tailor-made plans that fits your dreams. With the help of of our partners Santorini Weddings and Luxury Mykonos Weddings we offer full service wedding, proposal and honeymoon planning to the last detail. We are also collaborating with the best vendors in Santorini and Mykonos and make every little idea a reality. Our lifestyle managers and wedding planners will be by your side throughout the preparations and up to the reception day with a smile on their face and a helpful advice. All we want is for you to be calm, so you can enjoy your unique wedding. The rest you can leave it in our hands. We help you to create elegant, timeless, exclusive and unforgettable weddings in Santorini, Mykonos and Greece.